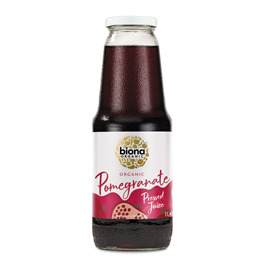 This organic pomegranate juice is made from carefully selected organic fruits, harvested and fresh pressed with a deep, sweet flavour. 100% Organic Pomegranate Juice (not from concentrate). 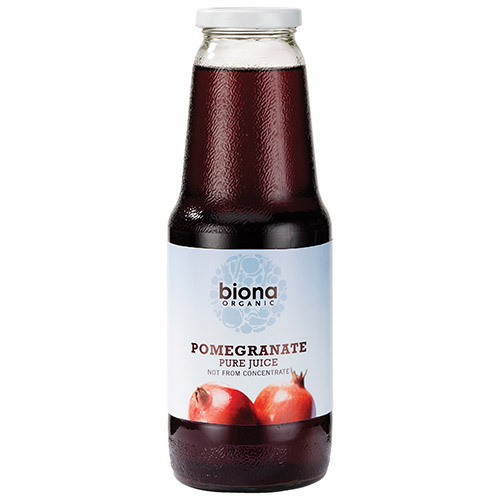 Below are reviews of Biona Organic Pomegranate Pure Juice - 1 Litre by bodykind customers. If you have tried this product we'd love to hear what you think so please leave a review. My fourth bottle, I love this and it's good for me. Will buy again, and being organic is a must.